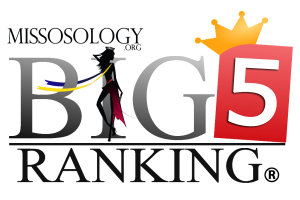 Will the 65th Miss Universe conclude with a result similar to that of Miss Universe 1994? “Nobody saw her star shining,” lamented the Philippine Free Press. Splashed in the black and white pages of the once popular and long running monthly magazine, are photos of Sushmita Sen visibly shocked as she was named Miss Universe 1994. The magazine summarized it well for truly no one saw Sushmita’s star shining. The self-styled seers predicted that Miss Venezuela Minorka Mercado will win. Many thought back then that Miss Colombia Carolina Gomez will be the winner and then the public went crazy for Miss Belgium Christelle Roelandts! In the end, all of those favorites came short and Sushmita stopped them on their tracks thanks to her wit and humility. She came off as genuine and spontaneous but we all knew she was disciplined and was trained in a beauty pageant boot camp. 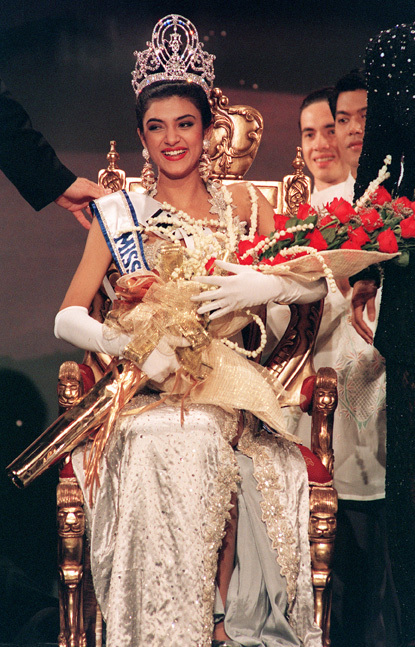 Now, 22 years after India’s historic win at Miss Universe, the narrative seems to be the same. All eyes are on the Latinas and other usual countries. India is not on anyone’s list. But can Roshmitha Harimurthy do a Sushmita Sen? Will Roshmitha’s lie-low strategy be rewarded with an unexpected victory? Roshmitha will be an underdog at Miss Universe 2016 but like Sushmita she can pull an upset. However, she has to face the reality that the dynamics in 1994 is completely different. Back then, India is a consistent placer at the semis. This time around, even the Bollywood superstar Urvashi Rautela couldn’t make it to the Top 15. India also had a robust beauty camp and its Miss Universe contestant is a winner of the Femina Miss India – the premier pageant in India. These days, the Times of India group created a separate pageant called Miss Diva. It is as if Miss Universe was relegated into a second tier status. Still, India is a country with a heavy sash weight. Its candidates can still pull a surprise as evidenced by the unexpected victory at Miss Supranational 2016 contest. Even at Miss World 2016, the decent Top 20 finish of Priyadarshini Chatterjee was once thought inconceivable. 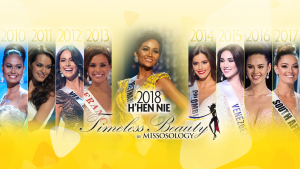 India is still a nation worth watching at beauty pageants but what India has achieved and is bound achieve can all be attributed to all the events of 1994 when it won both the Miss Universe and Miss World crowns. Now that Sushmita Sen will sit as a judge at the 65th Miss Universe contest, the memories of Miss Universe 1994 will continue to linger. It is very possible that we will once again be surprised by the results. Another girl whose star barely shined prior to the finals will perhaps take home the crown. But as to whether it will be another girl from India is something that remains to be seen.